As part of SGHY Summer Camp Scholarship Program, SGHY has designated four summer camp scholarships respectively in the name of four distinguished, accomplished individuals whose life, work or activities have epitomized the values and mission of Sophie Gerson Healthy Youth. By awarding the Sophie Gerson scholarships annually SGHY recognizes and promotes the ideals advanced by the great individuals for whom our scholarships are named. The Rabbi Bruce Cohen Leadership for Peace Scholarship, Awarded to a student who leads his or her peers to promote, peace, harmony, tolerance and mutual respect. Rabbi Dr. Bruce M. Cohen founded INTERNS FOR PEACE to pursue his and his life partner, Rebbetzin Karen Wald Cohen’s dream of promoting peace in the Middle East by having Jews and Arabs involved in community projects. He soon brought this peace-building model to other parts of the world. 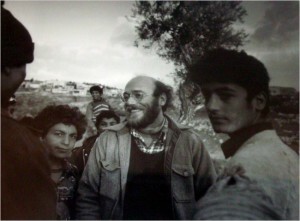 For 32 years, until his death in 2012, the Rabbi along with hundreds of community workers from Israel, Gaza, the Sudan, Rwanda and Bosnia worked on community development projects to break stereotypes. Rabbi Cohen believed it was his destiny to try to live up to his faith’s teaching to “Welcome the stranger into your midst.” Strangers from any ethnic background became friends after meeting Rabbi Cohen for only a few minutes. Dudley Gaffin, Esq. Civic Engagement Scholarship, awarded to a student who demonstrates a commitment to involvement in the civic or political affairs of the community. Dudley Gaffin began his political life at the ripe old age of 16. Gathering together with other teenagers in the Brownsville section of Brooklyn they formed a group famously known as Brownsville Boys Club which successfully advocated to have a building built as a community center for Jewish, African-American and Italian boys. He joined the army at 18, was sent overseas as part of the post-war forces in Japan. 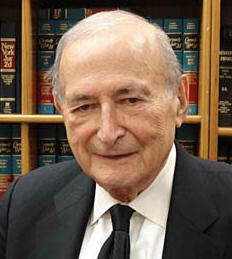 He came home and went to law school becoming the first class to graduate out of the newly built NYU Law School in 1953. He continued to be involved in Democratic politics until his death in 2011. The Father Louis Gigante Community Improvement Scholarship, awarded to a student who participates in efforts or projects to make the community a better place. Ordained a priest in May 1959, Father Gigante has served over 45 years at St. Athanasius Church in the Longwood/Hunts Point section of South Bronx. In 1968, Father Gigante organized the South East Bronx Community Organization (SEBCO) to discuss and plan the reversal of urban blight which had descended upon the Hunts Point area. This group later developed into the present day SEBCO Development, Inc. In 1973, Father Gigante was elected to the City Council and served two terms. 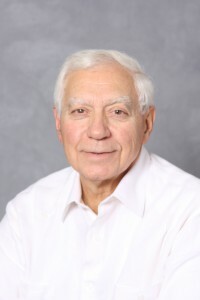 Since 1968, he has served as Board Chairman of SEBCO. To date, under the leadership of Father Gigante, SEBCO has been responsible for development, construction and restoration of over 6,000 multifamily apartments, senior citizen units, condos and private homes. In addition, SEBCO Development, Inc. operates three homeless shelters and two Senior Citizen Centers. Father Gigante still lives in the Greenwich Village neighborhood where he was born. The Ponsie B. Hillman Educational Excellence Scholarship, awarded to a student who achieves progress in sports or dance and math or science. Ponsie B. Hillman was a retired mathematics teacher and former Assistant Treasurer of the United Federation of Teachers, UFT. She was a lifetime member of Delta Sigma Theta Sorority, Inc., and the NAACP. 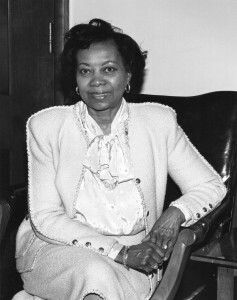 In 1964, Ponsie received a Teacher of the Year award for working in the American Federation of Teachers- Freedom Schools, educating African-American children who were denied access to schools during desegregation efforts. During her tenure at the UFT she served on the Executive Board, organized the AfroAmerican Heritage Committee, initiated the Asian-American Committee after an educational trip to Taiwan, and setup the UFT summer camp program. Ponsie also served as a NYSUT Board Election District Director. In 2006, at the AFT convention, Ponsie was honored as an “everyday hero” for her work in opening the first AFT Freedom School in Prince Edward County, Virginia. After her death, Ponsie was chosen as one of fifty people that helped further unionism at the UFT. Her name has been placed on the wall of their new building at 52 Broadway in Manhattan. In further recognition of her civil rights work, in 2014, Congressman Fattah from Philadelphia, PA paid tribute to Mrs. Hillman in the Congressional Record-extension of remarks. In Ponsie’s last request she asked for scholarships to be given to students in sports, arts and dance education.